Celebrate the 50th Anniversary of the Wild and Scenic Rivers Act by giving back to a river! 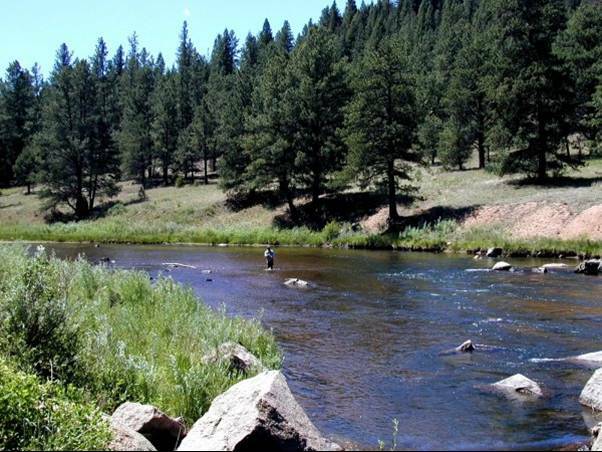 The Pike National Forest Service, Colorado Trout Unlimited, Coalition for the Upper South Platte, and the Denver Water Board are coming together on a group effort to help clean up the South Platte River in the Deckers area. While the South Platte is not officially designated as a Wild and Scenic River, it was deemed "eligible" under the Act and has been protected by the local South Platte Protection Plan for more than 15 years. The purpose of the South Platte Protection Plan is to protect the river's outstandingly remarkable values - fishery, cultural, geologic, recreation, scenic and wildlife resources.